Cincinnati voters will consider two Charter amendments this fall. Council approved two issues Wednesday: moving the city's mayoral primary from September to May, and another moving the beginning of mayoral and council terms from December to January. It also includes cleaning up some other Charter language. Members rejected another Charter amendment to let Council begin the process to fire the city manager. Right now the mayor is the only one who can initiate that process. 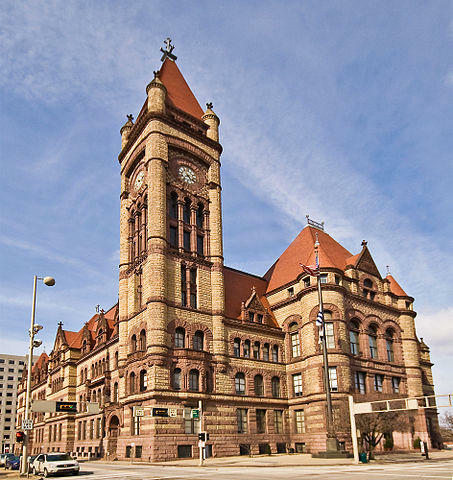 Meanwhile, Council did not have six votes to override Mayor John Cranley's veto of another charter amendment approved last week that would have let city council meet in executive session, or meetings closed to the public. Member Yvette Simpson used economic development deals to show there are already private meetings. A task force spent more than a year reviewing the Charter line-by-line before making recommendations. Council Member Wendell Young thanked the group and said there is a lesson to be learned. Council spent nearly two hours Wednesday discussing the Charter amendments and at one point during debate it appeared no issues would be on the ballot. The group had to act during the meeting because Friday is the deadline for the amendments to be on the November ballot. Cincinnati residents will be asked to approve two Charter amendments this fall, and they could see two more before the deadline to make the ballot next week. City Council approved measures Monday for a permanent one mill property tax levy for city parks, and a second to let council hold executive sessions, or closed public meetings on six specific issues. Cincinnati's Charter Review task force is continuing its work. Task force Co-chairman Mike Morgan presented an update Tuesday to Council's Rules and Audit Committee. Morgan said various subcommittees have been reviewing items since last summer. He said the full task force will meet Monday.